Manufactured in 1962 this Jaguar MK 2 3.4 Litre is, we understand, an original Right Hand Drive car equipped with a Moss Overdrive gearbox. We further believe this to be a matching numbers car and we are awaiting the Jaguar Heritage Certificate to confirm these details. 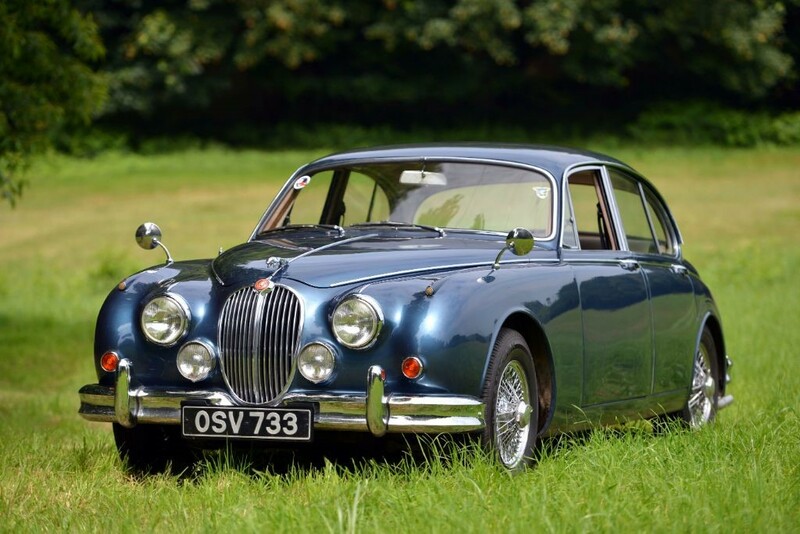 Adhering to Sir William Lyons' maxim of "Grace, Pace and Space", the Jaguar Mark 2 was a fast and capable saloon which was powered by the XK Twin Overhead Camshaft inline 6-cylinder engine that was introduced by Jaguar in 1949 and remained in production until 1992. In 3.4 Litre form the engine produced a claimed 210 bhp The 3.4 Litre and 3.8 Litre cars were fitted with twin SU HD6 carburettors. Inherited by a lady upon the passing of her father in 2000 this car, we are advised, was largely unused until the second half of 2015 when it was consigned to Brian Stevens of XK Motorsport who having determined that the Engine and Drive Train were in good order carried out the following works: Braking System Overhaul, 123 Electronic Ignition System, Hydraulic Pump Electric Power-steering fitted, Stainless Steel Exhaust System, Alternator and Negative earth System, Choke converted to manual operation plus the useful edition of Power outlet and USB Connection under the dashboard. 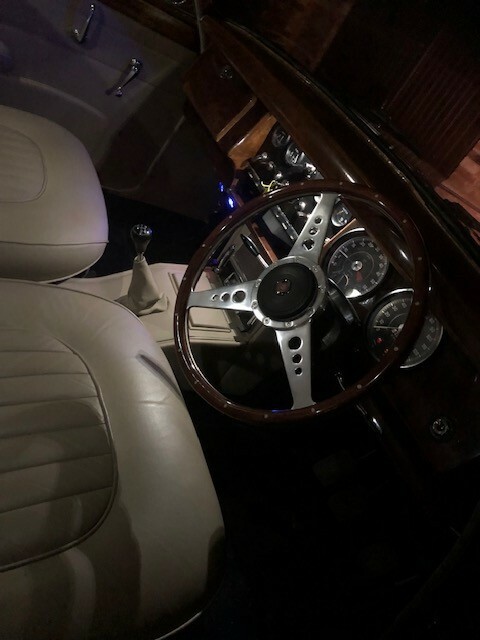 Upon completion of these electromechanical works a full re-trim in Beige leather plus carpets was carried out and the whole car was re-sprayed in the historic colour of Ecurie Ecosse Blue. Acquired by the current keeper in January 2016 who has made further improvements that include: Coombs Style rear wheel arches, Wood Rim Steering Wheel, Halogen Headlights, LED bulbs to interior and exterior lights. Subsequently the Speedometer was reconditioned by Speedograph. New rear Shock Absorbers have recently been fitted. The original steering wheel, steering rack, distributor and rear arch spats are with the car. The last keeper purchased the car showing 79,800 miles and the mileometer is now showing 83,900 miles; whilst the known history would suggest the mileage is correct it cannot be warranted. This car is in really excellent condition with a very tidy underside and it is far and away the nicest driving Mark 2 we have had in stock for a very long time. Moreover, it looks stunning and draws almost as many admiring glances an E-Type costing three times as much; plus that admiration can be enjoyed by five people not just two. This car is also available for hire and weddings etc. Please enquire for details.